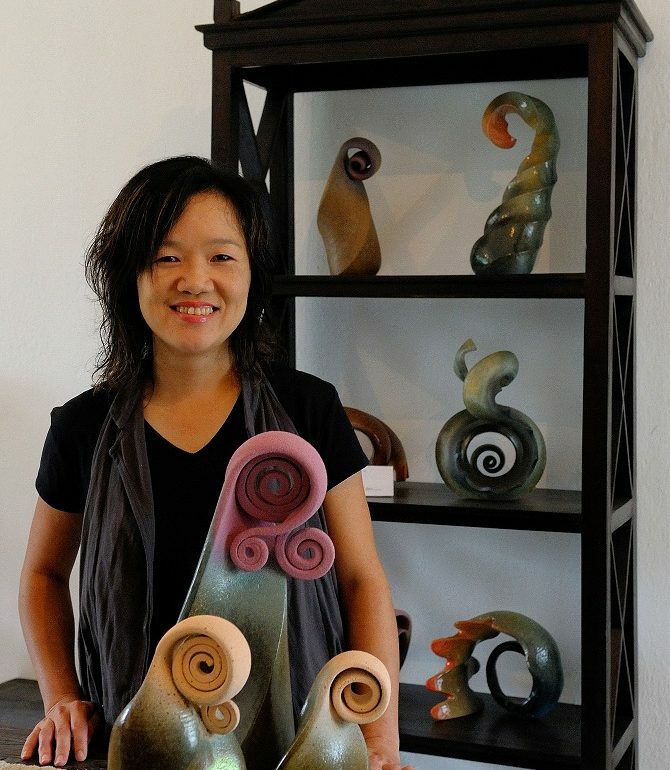 Joyce Loo’s love of clay began in 1998 but she didn’t start her creative career until 2008 when she gave up a lucrative job as a stock broker, to pursue her passion for the arts. She now works as a ceramic artist in her studio (and gallery) on the beautiful Wessex Estate in Singapore and has a deep affinity to nature and the earth, reflected in her clay sculptural forms. Joyce is a self-taught artist of great ingenuity and her works are a visual harmony of colour, texture and her appreciation for flora and fauna. Since 2005, Joyce’s work has been represented in several local and international exhibitions in Japan, Turkey, New York, Taiwan, China and New Delhi, India. Her first solo exhibitions, My Eden and Embrace were both held in Singapore. Joyce’s work has been bought and collected by museums in Singapore and China and by government agencies and corporate and private collectors.